How much is the U.S. economy growing? The U.S. economy is in the midst of one of the longest growth spurts ever. The problem is the growth hasn't been stellar. 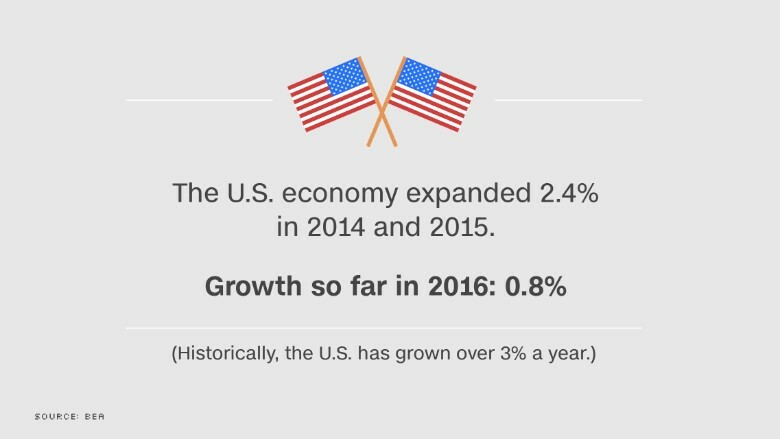 In recent years, the U.S. has expanded at a rate of 2.4% a year. That's well below the historic average of over 3% growth. This year is shaping up to be another B-grade year. The economy only expanded 0.8% in the first quarter. Growth is expected to pick up in the spring and summer, but not by much. The Federal Reserve predicts 2% growth for 2016.